If you have excess gum tissue along the teeth, sometimes referred to as a ‘gummy smile,’ our cosmetic dentists can use laser dentistry techniques to effectively enhance the appearance of your gums. An abundance of gum tissue can make the teeth appear too short and many people who are affected by this condition feel self-conscious every time they open their mouths to smile. Laser gum recontouring, also known as gum lifting, is a non-invasive procedure that reduces excess tissue and reshapes the gums for a more symmetrical appearance along the teeth. What are the benefits of laser gum recontouring? 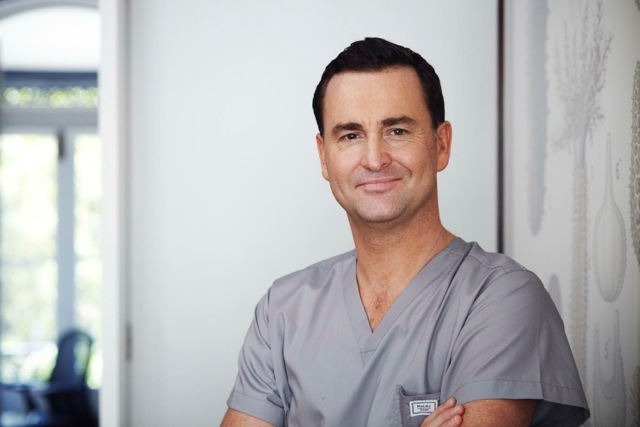 The terms ‘gum recontouring’ or ‘gum reshaping’ may sound a bit uncomfortable, but at The Paddington Dental Surgery, most of our gum recontouring procedures are performed with lasers. That makes it a non-surgical procedure that typically results in a virtually painless treatment. With the Odyssey® Diode Laser, your dentist will carefully and precisely guide a high-intensity laser along your gums, trimming away excess tissue and reshaping the gums for a more symmetrical appearance. The gum recontouring procedure usually takes less than an hour here at our practice. Most patients are able to resume normal daily activities right after treatment. Our experienced team here at The Paddington Dental Surgery can help you reduce the appearance of a ‘gummy smile’ without surgery or extended recovery times.